No.18 Sorrel Dale is a beautifully presented four-bedroom, semi-detached family home that has been lovingly upgraded and maintained by the current owners, as such, the new owner can simply turn the key and move into their new home. The accommodation briefly comprises an entrance hall, a generous living room with a solid fuel stove , sliding double doors lead to a large dining room which is currently in use as a playroom. Off the dining room a large, modern kitchen/dining area awaits, the kitchen area offers a wealth of floor and eye level storage space and is no doubt the heart of the home. A small breakfast bar separates this open plan area, while access to the rear garden patio is offered through glazed double doors on one side. The Ground floor accommodation is completed by a large utility room and under stair WC. 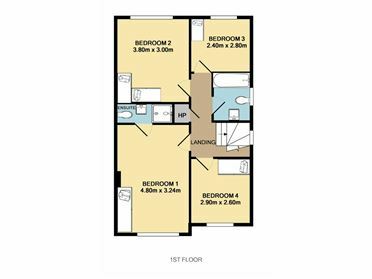 Upstairs there are two excellent double bedrooms (master en-suite), two spacious single bedrooms and a modern family bathroom. To the front there is off-street parking for two cars, and pedestrian side passage to the rear garden. The rear garden is laid in artificial grass and offers an excellent patio area perfect for 'al fresco' dining. 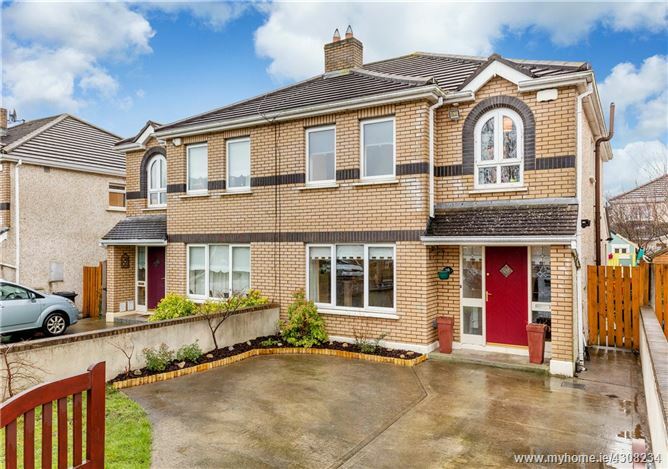 Sorrel Dale is very conveniently located within short walking distance of a host of local shopping & leisure facilities in Clonsilla village, and even more in the nearby Blanchardstown Shopping Centre. There is unrivalled access to the city centre and further afield via N3, M3 and M50, as well as Clonsilla Train Station and several Dublin Bus routes. Early viewing is highly recommended to fully appreciate this lovely family home. Entrance Hall Bright spacious and inviting entrance hall, with tiled floor, understair storage, ceiling coving, ceiling rose, radiator covers, access to guest wc. Guest WC With wc and whb. 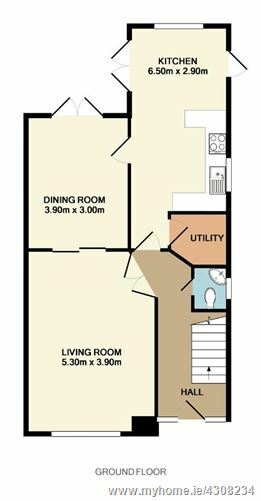 Living Room 5.30m x 3.90m. 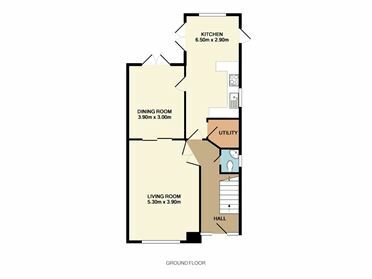 A spacious room to the front of the property with wood flooring, recessed lighting, ceiling coving, solid fuel stove with stone surround and mantle, sliding doors to dining room.